One of Monterey’s favorite breweries celebrates American Craft Brewery Week with all sorts of beer tastings, new releases and brewer’s dinners. Join Peter B’s Brewpub all this weekend for an extended Happy Hour from 4pm-6:30pm and brewery tours from 4pm-5:30pm. Check out a full list of all the action here. Monday-Sunday.1 Portola Plaza, Monterey. The Carmel Art Festival kicks off this Thursday in quaint Carmel-by-the-Sea. On Thursday and Friday over 60 juried artists will scatter throughout Monterey County to produce paintings of the destination. These works will be on display all weekend long at Devendorf Park in downtown Carmel, the hub of the four-day artistic event. Other events include art exhibitions, family fun activities, live music and more. Thursday-Sunday. Devendorf Park, Carmel-by-the-Sea. Free event. Come one, come all to the Salinas Valley Fair in southern Monterey County. This hootenanny has all the makings of a traditional country fair including livestock exhibits, a rodeo, carnival rides and lots of fair food. Thursday-Sunday from 10am-10pm. 625 Division Street, King City. $8 for adults and $6 for children. Enjoy a blast from the past at the Monterey Rock n’ Rod Festival. The Monterey County Fairgrounds transforms to an era from the ‘50s and ‘60s with everything from classic cars to old school rock n’ roll. Get your poodle skirt out for the Sock Hop which kicks things off on Friday at 5:30pm! Friday-Saturday, 2004 Fairgrounds Road, Monterey. $20-$25. The Monterey Symphony brings on guest pianist Dubravka Tomsic. She will dazzle on stage with back up from the talented symphony as they play works from Bernstein, Rachmaninoff and Mussorgsky for this show entitled Ecstasy. Friday at 7:30pm at the Steinbeck Institute for Arts and Culture, Saturday at 8pm at the Sunset Center and Sunday at 3pm at the Sunset Center. Various ticket prices. 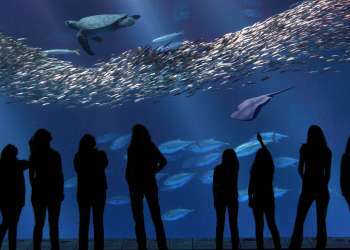 Sustainable seafood is the star at this weekend’s Cooking for Solutions at the Monterey Bay Aquarium. Over 70 celebrity chefs and 60 wineries will be on hand for a tasty three day event with everything from a glamorous Gala, Food and Wine Adventures to a Street Food Extravaganza. Friday-Sunday. 886 Cannery Row, Monterey. Various ticket prices. Check out Monterey County’s favorite thistle this weekend at the Castroville Artichoke Festival! 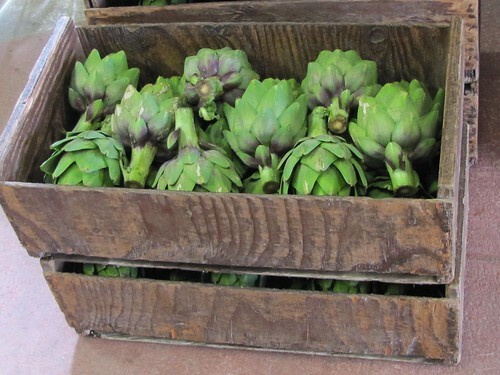 The event is dedicated to everything artichoke including cooking demos, artichoke-themed art and souvenirs, an artichoke parade, a farmers&apos; market, a classic car show, a wine exposition, and of course artichokes prepared in every way imaginable. Saturday from 10am-6pm and Sunday from 10am-5pm. Castroville. $10 for adults and $5 for children. Learn about the importance of Chinese immigrants to the Monterey Peninsula’s fishing industry today at the Pacific Grove Museum of Natural History. From 10am-2pm guests can check out a model of Pacific Grove&apos;s 19th century Fishing Village and listen to a lecture from Sandy Lydon at 2pm on “Feeding the Hungry Ghosts: The Resurrection of Pacific Grove&apos;s 160 Year-old Chinese Legacy” at Chautauqua Hall. At 3:30pm guests will gather at the museum for a Walk of Remembrance along Ocean View Avenue honoring those who lived in the Chinese village that mysteriously burnt down in 1906. 10am-4pm, 165 Forest Avenue, Pacific Grove. Free event. Couldn’t make Friday’s opening performance of “Mr. Bruce, Do You Swear?” at Paper Wing Theatre? Check it out tonight! 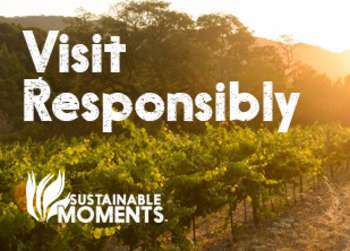 8pm, 320 Hoffman Avenue, Monterey. $17-$20. The Bermuda Triangle Service performs tonight at the Fernwood Tavern in Big Sur. Don’t miss the trio’s infectious twangin’ country vibes! 9pm, 47200 Highway One, Big Sur. Free event. Massive trucks dominate today at the Salinas Sports Complex. Bring the kids on out to Monster Jam for some car crushing action, family fun activities and great food. 12pm-5pm. 1034 North Main Street, Salinas. $20 for adults and $10 for children. Had a busy weekend? Relax out by the river at the Big Sur River Inn. This afternoon Jackson Stock and Friends and will be out playing tunes on the deck. 1pm, 46840 Highway One, Big Sur. Free event.